RAIL UNION RMT has confirmed a package of new strike dates on Arriva Rail North over attacks on the role of the safety-critical guard and the extension of Driver Only Operation in the name of increased profits. The announcement comes as members gear up for the 45th day of strike action tomorrow. The long-running campaign of action takes place as the company continues to refuse to engage in serious and meaningful talks around the guard guarantee that could form the basis for a settlement. Instead it has resorted to a campaign of misleading the public over the second member of staff on their trains, resorting to lies about bogus guarantees that fly in the face of information that they are giving directly to RMT members which prove that their intent is to run services on the widespread basis of driver only operation. 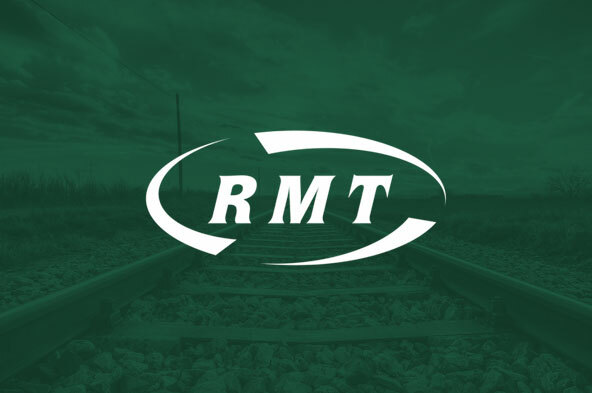 “RMT continues to make every effort to get serious and meaningful talks going with Northern but the company are not interested and would prefer to fire off a barrage of misinformation about both the dispute and their intentions to deflect attention from the impact of their behaviour on the travelling public. “German-owned Northern have made it perfectly clear in emails to staff that they want to run trains without a safety critical guard on board in a move that would wreck both safety and access ‎to services and they should listen to their front-line staff and pull back from that plan immediately. The bogus “guarantees” that they are trying to spin up to the travelling public are not worth the paper that they are printed on.